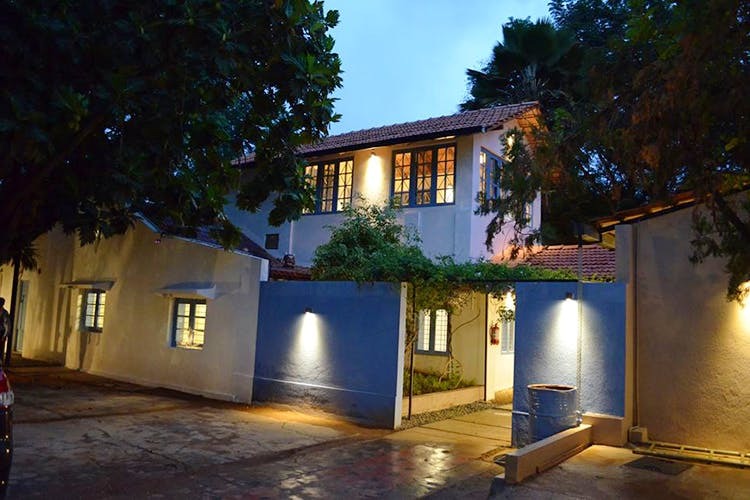 A charming old (and remodelled) bungalow, Tivity in Whitefield has enough space for any type of event that you want to host or conduct — from cooking workshops to art classes. Tivity is Whitefield’s way of telling people, “Hey, we’ve got a cool space for you to come and learn or even teach something”. And by something we mean activities and classes that are experiential and hands-on. In fact, Tivity calls its huge and beautiful bungalow an experiential art centre that’s open to amateurs, professionals, hobbyists, DIY-ers, teachers, and experts. So no matter what your skill level, come together and share their learnings in the form of workshops, classes, and events.Tucked away in a beautiful compound filled with trees and open air spots, this is the ideal space for you to take that first step to becoming a workshop host, or teacher, in any creative field — be it decoupage or baking. It’s also a spot for folks who are looking for a space attend such classes. Since it’s a huge bungalow, there’s no issue of running out of space to conduct classes. In fact, you have three indoor rooms, two outdoor areas, and one front workshop zone that allows Tivity to conduct multiple classes and workshops at a time. The indoor area works for almost anything from painting classes to decoupage workshops. Not that the outdoor area is any less of a space to enjoy the fresh air while you are taking or attending classes on improv comedy, photography, and blogging. In the culinary department, you will love the state-of-the-art kitchen with movable cooking counters, that can accommodate up to 30 people at a time. If you are just looking to rent out the space, you can do so with Tivity taking care of arranging everything. The nitty-gritty details can be found on their website. But they are very strict about what they let out the space for. In fact, no flea markets, book-club meetings, performances and open mics will be allowed here. It’s all about having an event having a takeaway in the form of visitors learning something new.